The 2015 MLB draft wraps up today with rounds 11-40. You can follow the draft right here and check out who the Jays have drafted by clicking here. Round 11, 332nd overall - RHP Marrick Crouse, Dana Hills HS (California). 6-3, 185. Born May 2, 1997. The righty out of Dana Hills High School in California, who committed to the University of San Francisco, was a Perfect Game 2nd Team All-American selection and also placed on the California All-Region 1st Team. As a junior, he went 8-2 with a 1.50 ERA and 74 strikeouts over 74 2/3 innings pitched, while also participating in the Loara Baseball Tournament (where he was named the Most Outstanding Player), the Area Code Games and the Elite Baseball Series. Video here. Round 12, 362nd overall. OF D.J. McKnight, Tallahassee CC (Florida). Bats Left. 5-10, 180. Born January 29, 1994. Round 13, 392nd overall. SS Daniel Perry, Lassen HS (California). Bats Right. 6-2, 185. Born September 20, 1996. Round 14, 422nd overall. 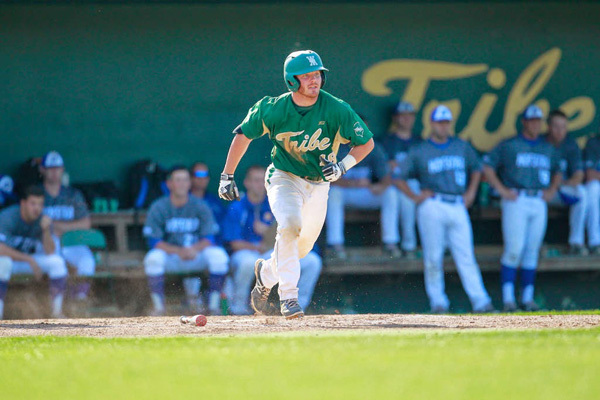 C Ryan Hissey, College of William & Mary (Virginia). Bats Left. 6-0, 190. Born April 8, 1994. Round 15, 452nd overall. 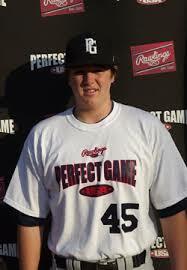 RHP Jackson McClelland, Pepperdine (California). 6-5, 220. Born July 19, 1994. 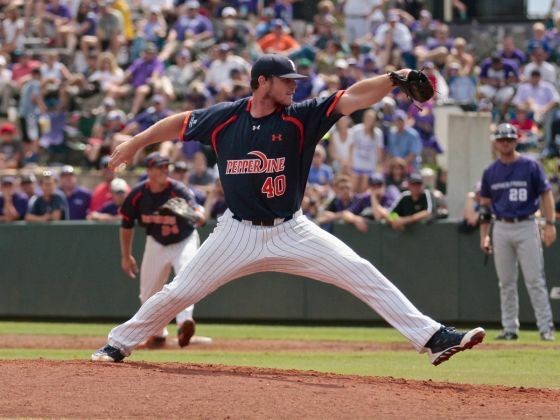 A member of the Yankees’ scout team, McClelland led Pepperdine University's pitching staff this season with a 2.42 ERA while going 6-3 in 93 innings over 14 starts. The 6-foot-5, 220-pound righty tossed two complete games, totaling 70 strikeouts and 38 walks on the year. Last year, the California native went 8-3 with a 3.48 ERA in 82 2/3 innings over 15 starts. 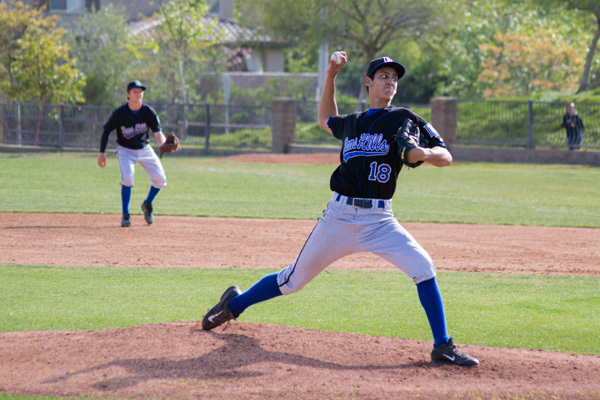 McClelland also competed for the Palm Springs Power in the Southern California Collegiate Baseball League, going 4-1 with a 2.88 ERA in 34 1/3 innings for the eventual champions. Round 16, 482nd overall. 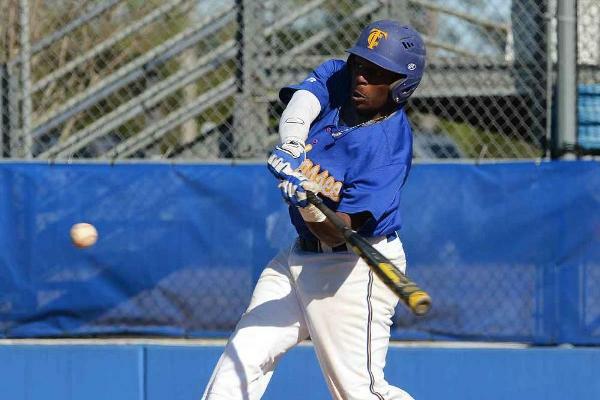 3B Christian Williams, Gulf Coast CC (Florida). Bats Left. 6-1, 205. Born September 14, 1994. Round 17, 512nd overall. RHP Chandler Eden, Yapavai College (Arizona). 6-2, 175. Born August 27, 1995. 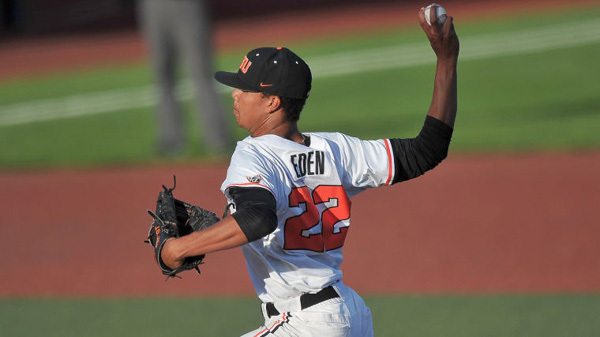 Eden was a 36th-round pick by the Marlins in the 2013 Draft, but he chose to attend Oregon State University instead. After one year there, he transferred to Yavapai College in Yuba City, Calif. In 16 games this season, the 6-foot-3 righty went 3-2 with a 5.87 ERA and 49 strikeouts in 38 1/3 innings. He pitched for the Marysville Gold Sox in the Horizon Air Summer Series in 2013, going 2-0 with a 1.87 ERA and 36 strikeouts in 13 games, including three starts. Round 18, 542nd overall. 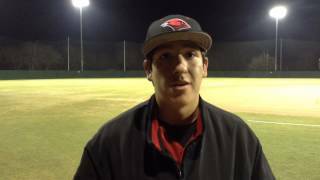 RHP Geno Encina, University of Incarnate Word (Texas). 6-4, 200. Born July 7, 1994. Round 19, 572nd overall. 2B John LaPrise, Virginia. Bats Left. 6-2, 180. Born August 24, 1993. Round 20, 602nd overall. RHP Tyler Burden, Chowan University (North Carolina). 6-1, 195. Born March 25, 1994. Round 21, 632nd overall. LHP Tayler Saucedo, Tennessee Weseleyan College. 6-5, 185. Born June 18, 1993. Round 22, 662nd overall. OF Nicholas Sinay, University of Buffalo. Bats Right. 5-10, 190. Born November 4, 1993. Round 23, 692nd overall.SS Juandy Mendoza, Otero JC (Colorado). Bats Right. 5-10, 190. Born October 10, 1994. Round 24, 722nd overall. 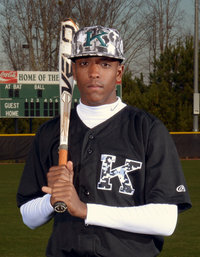 CF Reggie Pruitt, Kennesaw Mountain HS (Georgia). Bats Right. 6-0, 169. Born May 7, 1997. Kennesaw Mountain High's Tyler Stephenson is a lock first-rounder and likely will be the first catcher drafted this year, but he wasn't the most highly regarded prospect on the Mustangs roster entering 2015. That distinction belong to Pruitt, who could go in the top three rounds to a team that put a premium on speed. Pruitt can cover 60 yards in less than 6.5 seconds and has been clocked at 3.6 seconds from the right side of the plate to first base on a drag bunt. That speed makes him a basestealing threat and gives him plenty of range in center field. The Vanderbilt recruit may need to overhaul his swing at the next level. Pruitt has a choppy right-handed stroke that includes come arm bar and gets long when he gets overly aggressive. He does have good hand-eye coordination and bat speed, so he could hit for average with some pop if he can smooth out his swing and add some strength. Video. Round 25, 752nd overall. RHP Ryan Feltner, Jesuit Walsh HS (Ohio). 6-4, 185. Born September 2, 1996. Round 26, 782nd overall. 1B Gabriel Clark, Oregon State. Bats Right. 6-0, 220. Born October 5, 1994. Round 27, 812nd overall. OF Jake Thomas, Binghamton University (New York). Bats Right. 5-10, 190. Born July 21, 1993. Round 28, 842nd overall. 1B Levi Scott, University of Texas-Arlington. Bats Right. 6-5, 235. Born August 4, 1992. Round 29, 872nd overall. RHP Kyle Davis, University of Southern California. 5-11, 190. Born September 21, 1993. Round 30, 902nd overall. 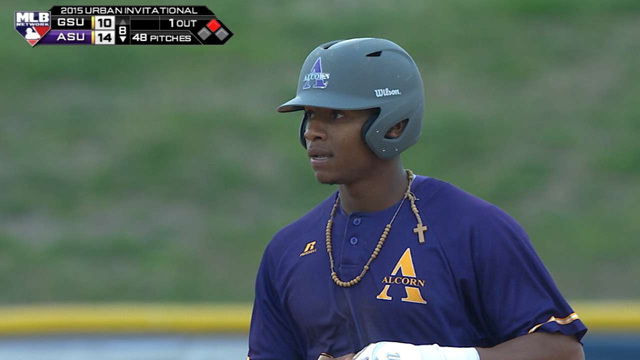 CF Earl Burl III, Alcorn State University (Mississippi). 6-0, 190. Born October 10, 1993. Round 31, 932nd overall. RHP Josh Degraaf, Taylor Unversity (Indiana). 6-4, 195. Born January 28, 1993. Round 32, 962nd overall. 2B Andrew Guillotte, McNeese State (Louisiana). Bats Right. 5-8, 170. Born March 30, 1993. Round 33, 992nd overall. OF Kalik May, Mississippi Valley State. Bats Both. 6-2, 205. Born October 5, 1992. Round 34, 1022nd overall. LHP Hunter Barnett, University of Mount Olive (North Carolina). 6-3, 205. Born August 13, 1994. Round 35, 1052nd overall. LHP Stuart Holmes, Nicholls State (Louisiana). 6-1, 180. Born January 5, 1993. Round 36, 1082nd overall. CF Lance Jones, Southern University A&M (Louisiana). 5-11, 175. Born November 10, 1992. Round 37, 1112nd overall. LHP Randy Labaut, Downey HS (California). 6-1, 185. Born October 1, 1996. Round 38, 1142nd overall. 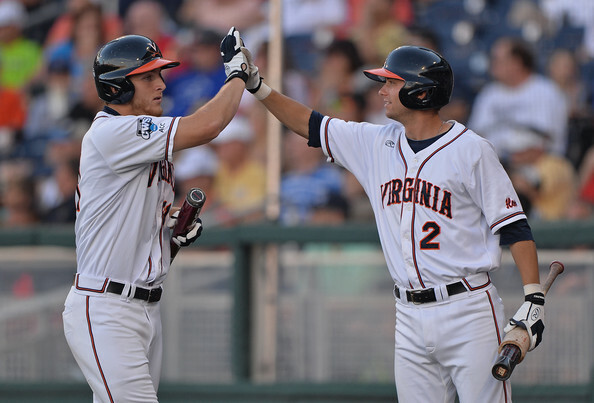 C Josh Reavis, Raford (Virginia). Bats Right. 6-2, 200. September 11, 1991. Round 39, 1172nd overall. IF Mattingly Romanin, Chicago State (Illinois). Bats Right. 5-10, 185. Born February 27, 1993. Round 40, 1202nd overall. C Robert Lucido, Amherst College (Massachusetts). Bats Right. 5-10, 175. Born December 11, 1992.